ITEM CODE : LC-BB-03 S.O. About the product: Made of MDF Standard Quality. Color - Blue & White. Design - Solid Size - LBH (cm)- 17.5 x 10 x 4 . USP - Very Competitive Rates. Snap Button Closure Can store One or Two pair of Bangle Best as indoor organizer and for gifting A perfect gift. Durable, lasts for years. Jewelry shown in the is for display purpose. Color: AS PER OUR STOCK WE WILL SUPPLY ACCORDING TO CUSTOMER REQUIREMENT AND WISH. THIS IS A PAPER BRACELET BOX. To provide the safety and security to the bracelets, we are designing and fabricating the superior quality of the Bracelet Boxes. These products are presented in various shapes and sizes and we also customize our products as per the needs of our customers. Being a manufacturer we check the quality of the products so that we supply the excellent products to our clients. Here is another kind of box called Velvet Flocked Mini Haar Boxes. We offer our clients with Bracelet Box that are made out of premium quality raw material. These are available in market leading prices and look very attractive and appealing. We offer our clients with bracelet boxes that can serve efficiently in string your expensive bracelets. Our Bracelet Boxes are made out of high quality of wood, which will help you serve for a longer period of tome. These bracelet boxes are beautifully carved out of wood which ultimately becomes an enclosure for your jewelry. Avail them immediately to keep all your bracelets attractively safe. We sell high quality cardboard jewel boxes for gift packing & safe packing of bracelets and bangles. 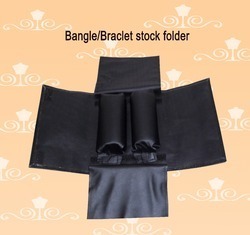 As per the needs and requirements of our clients, we are involved in providing Bracelet Packaging Box. Our valuable customers can avail from us an attractive assortment of Bracelet Box within the stipulated frame of time. These products are made from high quality components. 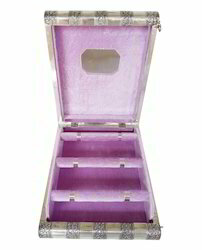 We offer Bracelet boxes made of high quality materials used for storing necklaces, chains and more safely. Also, you can get a personalized Bracelet boxes by embossing your company logo on it. All you have to do is give us a sample of the Bracelet boxes you want and we shall make it for you.